WordPress is not just the best blogging platform but its a fully functional content management system (CMS) with a lot of uses. Let’s see below some of the ways you can use WordPress. Let’s get this out of the way from the beginning. WordPress is the most popular blogging platform and you can use either the self-hosted version or wordpress.com to create a fantastic blog for personal or business purposes. WordPress gives you a lot of features out-of-the-box and has a lot of free and paid plugins that makes adding new functionality a very easy task. There are many reasons why you should use WordPress for your business website. It’s flexible, easy to deploy, it’s seo friendly and there are a lot of ready made themes to create a professional website fast while at the same time keeping costs low. In addition to that, it is essential today for websites to be mobile friendly and WordPress can create responsive websites that adhere to Google’s mobile best standards and practices. Cost effective, super efficient and reliable reseller cloud hosting from KnownHost. From all the available ecommerce platforms, WordPress is one of the most efficient because of the flexibility it offers. By default it provides the CMS functionality and with an ecommerce WordPress plugin, you can make WordPress a fully functional and scalable online shop. All the features important to an ecommerce shop i.e. security, reliability, SEO and speed can be satisfied in the best possible way by WordPress. As a true CMS, WordPress gives you user management functionality out of the box. This means that you can create a membership website in minutes without writing a single line of code. For the more advanced CMS features you can install a third party plugin easy and with minimum cost. The creators of WordPress also developed bbPress. bbPress is a plugin that adds a fully functional forum to your WordPress website. You can either have it as a part of your website or you can run it as a dedicated forum with no other features. This is very useful if you want to provide product support or offer a way for users to discuss about your products and services and share their experiences. If you want to host your CV on your own website, you can setup WordPress, install an appropriate theme and update the website with your details. The whole process is easy to do without needing programming skills. Not all WordPress websites have to be dynamic. You can use a simple theme and use WordPress to develop static HTML websites while at the same time taking advantage of the ease of use and development features of WordPress. In WordPress terminology this is called a multi-site. This is the kind of setup where you have a main website with a number of child websites, each one of them can have its own domain, language and theme but they all share common resources from the main website. A multi-site setup is useful in cases where you have one website for each language or where you want to give users the ability to create their own websites or blogs under your domain. Despite the number of available services for hosting your images, there may be cases where you want your own solution and WordPress is a great way to do that. All you need to do is find a good hosting package for your wordpress website and in minutes you can publish your image galleries online. One of the reasons that WordPress managed to get to the top of web site development platforms is because it is fun to use for developers, webmasters and users. Even if you don’t have a project in mind now, you can experiment and learn the secrets of WordPress and get ready to implement your next big idea! 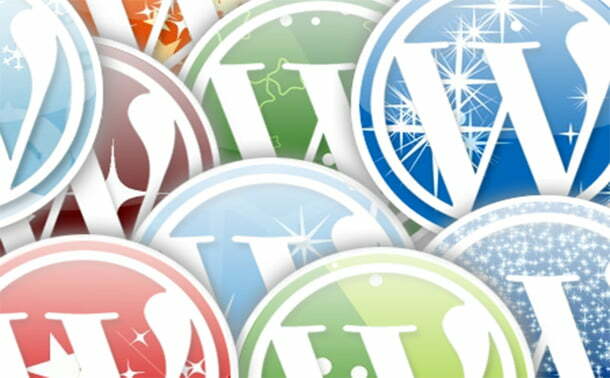 Many people believe that WordPress is only for blogs but this is not the case. At the beginning people started using WordPress as a blogging platform but over the years it has become a reliable CMS for almost any kind of application or website you want to create. Many large companies like vogue, coca-cola (France), NASA (open.nasa.gov) and others are using WordPress for their online needs and there is absolutely no reason for not choosing WordPress for your next project. Have the reassurance of efficient backups and robust disaster recovery for your CMS when hosting with KnownHost. Why Your Website’s Responsiveness Matters in the Modern Age!